News that US retail sales surpassed expectations was bound to spill over into the energy complex given the importance of those results for overall growth. As a consequence, US crude oil moved $0.94 higher to $96.66, also finding support from a sharp rally in equities and ongoing weakness in the dollar. Fresh signs that the US economy is recovering at a better-than-expected pace delivered another blow to gold prices, which lost $2.6 to $1,385. Once again, investors were incentivised to rush into higher yielding assets, discarding the non-interest paying precious metal. Yesterday's surprise build in the US crude inventories, 2.5million barrels vs estimates for a drop of 1.4m barrels, was negated by a weaker dollar. At the same time, the geopolitical factor played its part in US crude oil's rise of 93¢ to $95.74. Unrest in Turkey, and particularly Libya, could threaten oil supplies. A lower US dollar has attracted bargain hunters in gold who pushed its price $10.3 up to $1388. The precious metal has been trading at roughly the same levels for the last four weeks as investors remain on standby regarding global growth. As the World Bank put it yesterday, growth will be uneven. The bank was more optimistic about the US but Europe and emerging markets are expected to lag. Anyone remember the central banks coordination pledge a few years back? After the BoJ's comments, energy investors are now speculating that the reluctance to add more QE might go global. If so, that would reduce demand for hard assets and crude oil would be at the forefront of that demand. Consequently, the WTI crude prices fell yesterday, they dropped 84¢ to $94.88. The short term trend in gold has resumed its downside trajectory albeit at a less violent pace than the previous two months. The metal dropped $8.4 to $1378. It is the need for confirmation that the loose monetary policy might come to an end that's keeping participants on the edge. Crude oil started the week on the back foot, losing 32¢ to $95.74 thus interrupting a string of three straight gains. Ongoing expectations of a build up in the overall oil stockpiles could keep any potential rally in check. This could be more important than the start of the US driving season and the good economic data which should see energy demand going up. The late retracement in gold prices has caught the eyes of Chinese authorities which approved ETF's backed by the precious metal. That was interpreted as a signal that Asia might get ready to buy the metal again. Gold futures moved $3.5 higher to $1386.4. The price of Nymex crude oil rose by $1.42 to $96.12 as the better-than-expected US jobs growth discarded a strengthening in the dollar. Additionally, there were some media reports that Sudan might halt exports of South Sudan's crude, thus threatening supplies. Commodity investors were put at ease by the American jobs figures and decided to continue their usual play regarding non-interest paying precious metals, exchanging gold for higher yielding assets such as equities. As a result gold dropped back under the $1,400 mark, losing $34.8 for the day to close at $1,378.3. WTI crude oil continued to rally on the back of a weaker dollar and a late comeback for US equities. The market rose $0.99 to $94.71 as energy investors listened to Mario Draghi's comments that Eurozone growth should improve in 2013 and foresaw increased oil demand from Europe. Slowly but surely, renewed weakening in the US dollar has helped gold prices cross back above the $1,400 mark. This was the case again yesterday, with the precious metal rising $11.3 to $1,412.9, although the gains are still pretty anaemic and fresh pullbacks are not off the table. With US refineries ramping up their output, we saw a steep drop in crude oil stockpiles which in turn sparked a rally in WTI crude prices. However, the gains were short-lived as crude slipped back towards the close, even finishing $0.22 in the red at $93.70. The ADP data was possibly seen as a better indication of where energy demand is heading and investors moved back to the waiting game. In line with many commodities, gold trading was contained within a fairly tight range, with the metal only gaining $3.1 for the day to $1,402.3. Investor concern about the US economy may have increased demand for gold as a hedge against inflation given that QE remains on the table. Even though US supplies have recently risen to multi-decade highs, the price of WTI crude oil has only posted a fairly limited loss. If anything, the medium-term trend is rather sideways, with the financial spread betting market trading within the $86 - $98 range. 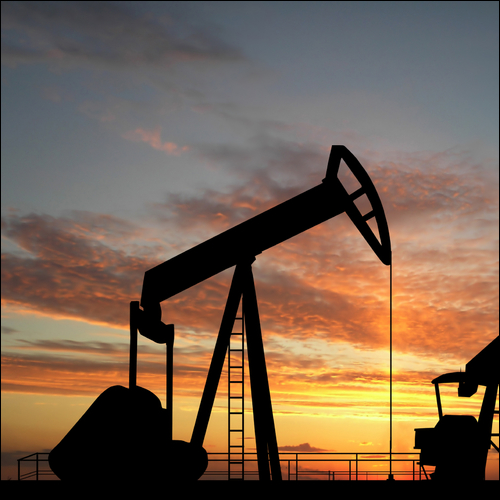 Yesterday, crude prices gained $0.50 to $93.82. Later today, all eyes will be on the US Department of Energy's weekly stockpiles report which is expected to show a drop of 800,000 barrels. Media reports that India, the world's biggest consumer of gold, is set to reduce its import of the precious metal pushed the market $12 lower to $1,399.6 yesterday. Having said that, although it's too early to talk about an end to the bearish outlook which started late last year, in the last few weeks gold has made a concerted effort to rebound above $1,400. At the end of this week, we may have a better picture. The usual suspects, a weaker dollar coupled with stronger equities, triggered a rebound for WTI crude oil yesterday. At the same, the gain of $1.62 to $93.30 was also supported by news that manufacturing in Europe had contracted by less than predicted. Even though the US manufacturing figures disappointed, speculation of maintaining the monetary stimulus discarded that. Renewed hopes of keeping the printing press working allowed gold to move back above the $1,400 mark. The precious metal rose by $21.7 to $1,411.1 and seems to be holding onto that level this early morning, although the current strong run for the dollar is likely to add some downside pressure. Nymex crude oil plunged $1.84 to $91.77 on Friday, the market's lowest level in a month, as a higher dollar and a slump in the equity markets weighed on energies. Meanwhile, the OPEC meeting in Vienna unfolded as predicted, with no change in the output target of 30 million barrels a day. Nonetheless, OPEC did announce that it has formed a committee to examine the impact of shale oil, especially in the US. Could that be a game changer? Gold prices resumed their decline, dropping $28.8 to $1,384.9 as hopes of a run above the $1,400 level proved to be short-lived for now. A strengthening dollar put downside pressure on the precious metal and better news on the US economy pushed some investment demand away from gold and into higher yielding assets.